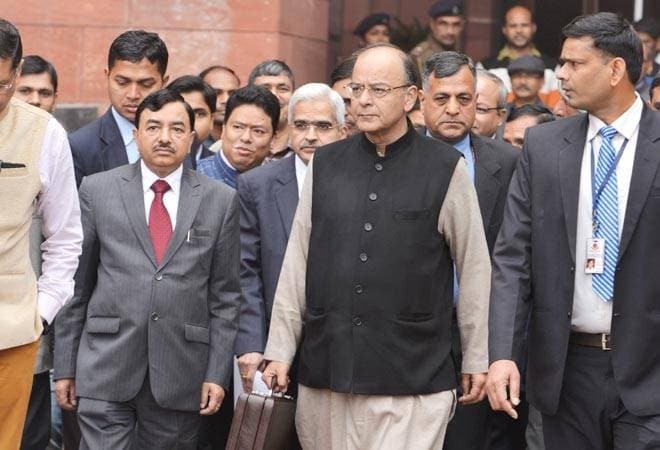 Finance Minister Arun Jaitley appeared set to present India's national budget in the Lok Sabha on Wednesday amid hopes that the proposals will help revive a slowing economy, hit further by demonetisation of high value currency. This is the first time the date of presentation has been advanced by nearly a month, even as it will co-opt the railway budget into it, abandoning the practice that was started in 1924. Individual tax payers are hoping for both a hike in the exemption limit and deductions under Section 80CC of the Income Tax Act, while the industry has sought a further rationalisation of corporate tax, excise and customs duty. Ahead of the presentation, the markets were on a choppy wicket. The sensitive index (Sensex) of the BSE opened a tad higher at 27669.08 points, against the previous close at 27655.96 points. It then slipped into the negative territory, recoveres and again slipped. At 10: 30 am, the index was quoting at 27,633.39 points, with a loss of 22.57 points or 0.08 per cent. At the National Stock Exchange, the broader Nifty was ruling at 8,550.90 points, with a loss of 10.40 points, or 0.12 per cent.